A cooling and analgesic gel to reduce localised pain, swelling and fluid build-up. For heavy legs, bloating and swollen ankles. A cooling and analgesic gel to reduce localised pain, swelling and fluid build-up. Reduces pain for sore, stiff muscles, bloating and water retention. 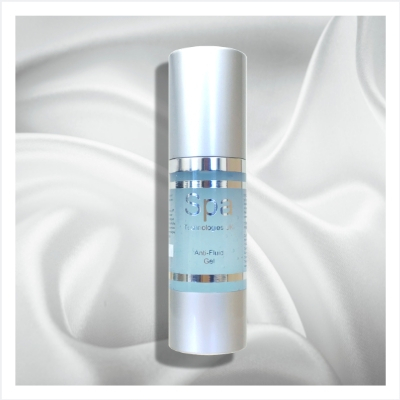 Presence of laminaria algae, flower acids and calcium peptides promotes skin firmness. BENEFITS: A great alternative for flight socks. Helpful in eliminating trapped wastes and fluids in treatment of cellulite. Helps to add definition to ankles and knees. Menthol: Cooling vaso-constrictor, reduces swelling. Palmaria Red Algae: Skin soothing emollient. Pyruvic Acid: Sourced from hibiscus flower for skin gentle skin exfoliation. Green Tea Extract: Natural antioxidant. Centella Asiatica: Skin healing extract of Gotu Kola. 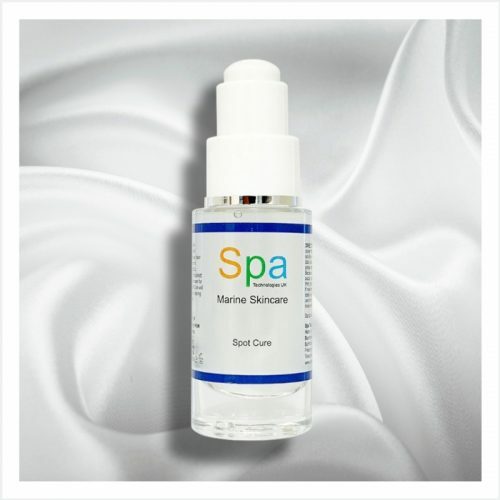 Laminaria Algae: Moisturises and nourishes surface skin. Hydroxy Cellulose: Vegetal thickening agent. Ethanol: Solubilises menthol and camphor crystals. USE: For heavy legs, bloating and swollen ankles. Can be used as a spot-treatment on sore muscles and aching feet for temporary relief. Apply to swollen affected areas and gently massage until absorbed. INGREDIENTS: Menthol, Camphor, Palmaria Red Algae, Pyruvic Acid, Malic Acid, Green Tea Extract, Evodiamine, Centella Asiatica, Laminaria Algae, Lithothamnium Algae, Glycerin, Hydroxy Cellulose, Ethanol, Liquorice Extract and Chlorophyll.